Submit your email to receive updates! Written Contracts Make Businesses More Profitable! As a lawyer, I know that some individuals incorrectly view written contracts as a cost of doing business. This is shortsighted. Committing an agreement to paper is probably the single most profitable action that a business can make. A written contract is not incidental to business – it is the business. A written contract commits parties to perform certain actions, but it more importantly limits what is required by each party and determines which parties bear which risks. Outlining each party’s obligations can result in earlier payment and less wasted resources. Detailing exclusions and risks makes the parties more profitable by avoiding or limiting costly disputes and litigation. Parties to a written contract are also more likely to be satisfied at completion of the contract and commit to repeat business, which means more profit. Consider a contractor hired to remodel a room in a house where a written contract is not used. One party may believe certain work is included in the price, and the other party may not. Who is responsible to move or cover the furniture? Who is responsible for certain types of damages and to what amount? Is there a warranty on materials or labour, how long is each and what do they include and exclude? Is there a deadline for completion? These are simple questions with answers that can be easily written down. The act of writing the terms down will make a business more profitable and reduce disputes, not to mention the fact that it makes a business look more professional. A business will never be sorry it had a contract, it will only be sorry if it does not. The rule is simple, commit it to paper and make more money. This entry was posted in Articles on August 1, 2013 by admin. 1. What is a construction lien? A construction lien is legal creation meant to protect construction professionals. It is almost like a special insurance policy for payment. Any party who provides goods or services that ‘attach’ to a building or property may qualify to register a lien for the value of the goods and services. A valid lien may be the only device that makes certain you obtain payment. 2. How does one obtain a construction lien? 3. Preservation, Perfection and Time Limits? There are strict time limits in which liens must be preserved and perfected. Preservation, the first step, involves the registration of the lien at the correct registry office. Perfection, the second step, involves commencing a legal action on the lien. The time limitations are vital, but not always straightforward. A qualified professional should generally be consulted to determine when the clock started ticking and when the steps need to be completed. As a general guide, preservation and perfection must be completed in 45 and 90 days respectively from a key date such as last supply of services. Please consult a professional as timing is critical. Lawsuits cost a business time and money, and can often bankrupt a business. Businesses must prepare and organize their legal affairs to reduce the possibility and costs of litigation. 5 simple steps can help you avoid and decrease litigation costs. Corporations have limited liability and proprietorships and partnerships do not. Corporations are legally distinct from their shareholders, who only risk their investment. Partners and sole proprietors are not legally separate from their businesses and risk everything that they own. A corporation acts like a special insurance policy with a one-time premium that protects your personal assets from the people that deal with your business. Corporations can also provide tax deferral benefits that are not available to sole proprietors or partnerships. Incorporation prepares you for success while protecting you from the worst eventualities. Most disputes are usually based on an honest misunderstanding of the deal. Written contracts commit parties to perform certain actions, but more importantly they limit what is required by each party and determine which party bears which risks. Outlining each party’s obligations can result in earlier payment and less wasted resources. Detailing exclusions and risks makes the parties more profitable by avoiding or limiting costly disputes and litigation. Parties to a written contract are also more likely to be satisfied at completion of the contract and commit to repeat business, which means more profit. Client contracts, waivers, and disclaimers are common documents that, when drafted properly, can protect your company. Contracts outline both benefits and obligations, risk placement and are the essence of the business relationship. Waivers, disclaimers and acknowledgments are particular risk reduction tools in situations where one party wishes to place a risk upon the other, who would not normally bear the burden. These documents can be used separately, but are often used in concert. Clear agreements make for better and happier business relations that almost always avoid court. Employees are often the most important assets of a company and they are usually the largest liabilities. Long-term or tenured employees represent significant risks to the companies they work for, if they are terminated, laid-off, or unable to work due to disability. More than one company has gone bankrupt on account of the stringent obligations of employers under Ontario law. An employment contract can control certain risks or exposures that the company has, and employment policies and procedures can control others. Every company needs to understand employment standards before they hire an employee, as it may be too late afterwards to enforce a subsequent contract with that individual. Assessing and reducing risk is a two-part process where you must determine and prioritize risks particular to your company and industry, in addition to the normal risks of business. When risks are identified and prioritized, each risk can then be systematically examined and targeted for possible reduction. Every company has unique risks based on its industry and operational style. These risks need to be prioritized based on likelihood and dollar value exposure in order to move to the next step. A particular risk can be reduced in many ways. A specific contract, waiver, disclaimer, acknowledgment or other document can reduce or eliminate a specific risk. Insurance may be another route. Sometimes a risk assessment may lead to the elimination of a product or service, when the costs to reduce the risks and/or the risks themselves outweigh the economic benefits. Most companies’ change the way they do business after a risk assessment and some even change what business they do. Risk assessment and reduction are important in protecting a company from major hazards because most perils are foreseeable. There is justice and then there is legal reality. Many people involved in business litigation believe that when they tell their side of a story to a judge they will win and get everything they deserve. That belief is a legal fiction. A party may be 100% successful in a claim, but the party will never ever be made whole. The costs of lawyers, experts, lost time, delay in recovery, stress, and the distraction from the business are never fully recovered. In short, going the distance in a lawsuit should usually be avoided if a reasonable settlement can be reached. Quick response and settlement in problem situations prevents the spending of good money to litigate on the mistaken belief that a successful lawsuit will cover all costs and expenses. No business can completely protect itself from the possibility of a lawsuit, however, the 5 simple steps outlined above can greatly reduce the chances and costs of litigation. Incorporating can protect your personal assets. Client and employment agreements reduce misunderstandings and litigation costs. Risk assessment and reduction improve the bottom line and can save a business from a catastrophe. Quick response and settlement of disputes also save money. Remember, every lawsuit prevented or reduced in cost greatly affects your business’ profitability. Getting Paid: Why Work For Free? Making money requires three important steps: obtaining new business, completing the work, and then getting paid. Far too often, companies obtain new business, complete the work, but then never fully collect payment. This lost revenue is the worst type as the work has already been completed and time, energy and money have already been spent. The company would have been better off refusing the work in the first place as both morale and profits are heavily reduced. Below are five simple steps to getting paid that will make a company more profitable. 1. Detailed Contracts: Written Contracts Make Businesses More Profitable! As a lawyer/entrepreneur, I know that some individuals incorrectly view written contracts as a cost of doing business. This is shortsighted. Committing an agreement to paper is probably the single most profitable action that a business can make. A written contract is not incidental to business – it is the business. 2. Security For Payment: Never Be Afraid To Ask For Money! Smart companies require a deposit, down payment or some other form of security for services or products to be provided. The size or reputation of the company are not factors, in fact, the pre-requirement of security for payment usually makes a company look more professional and prosperous. Security for payment indicates that a company values itself and subconsciously earns respect from clients. Furthermore, serious consumers wishing to purchase products or services expect that you would require a retainer or down payment. Moreover, clients that refuse or resist security provisions often turn out to be problem clients. Some security mechanisms to protect a company from non-paying clients include deposits, down payments, payment schedules and collateral security. Deposits and down payments are legally distinct, although many people wrongly use the terms interchangeably. Down payments usually serve as partial payment for products or services to be rendered and are usually refundable. Deposits, however, are used to secure performance of an agreement and are usually non-refundable unless the deposit receiver cancels the agreement. Deposits are applied to agreements as down payments if the deal is completed. Deposits and down payments provide partial security for an agreement. Payment schedules are actually an extension of retainers and downpayments, in that, as products and/or services are provided, additional retainers or downpayments will be required. Payment schedules are meant to parallel the completion of performance of any agreement. Construction contracts are good examples of where percentages of the advance are to be paid at certain levels of completion with respect to the contract. Another version involving time-based increments may require an amount to be paid each week or each month reflecting the effort placed by a company to complete a project for a client. The key in these types of payment schedules are that at no point is the customer very far behind in monies paid to your company versus the product or services provided. Collateral security is often useful in larger contracts or large price tag product sales. Collateral can be registered under the Personal Property Security Act in order to put a company in first priority with respect to that item until all of the payments are made. There are costs involved and the key is to make the cost relative to the amount of revenue. Obtaining security for payment is critical to the bottom line. Clients unwilling to pay now may not pay later, even after completion. Pursing a bill is costly and it is important to protect in advance of a contract and to make certain your company gets paid. 3. Acknowledgement/Sign Offs: Agreement Now, Avoids A Fight Later! Having a client acknowledge or sign off on the completion of delivery of some service or product is so simple and effective in any dispute that it is hard to imagine not doing it. Nothing is more infuriating than trying to collect on goods or services delivered and the client responding that they either never received the goods or the goods were defective. This problem could even happen months or even years later, which is even more difficult to deal with. This situation can be further complicated wherein the employees who were present during the transaction are no longer with any or either of the companies. Prompt and diligent tracking of performance will avoid problems and save money. 4. Better Communication: Confirm At Least Twice! Effective communication requires both accuracy and timing. I am not sure which is worse – accurate information too late or inaccurate information on time. Asking questions and verifying answers more than once is not a waste of time, but is essential to reaching a good level of communication. Quick contract making without full verification can create a very very expensive proposition. 5. Refusing Business: Just Say No To New Business! Quite simply the best rule that I have learned to make more money is to say no to new business. To operate with the thinking that every company wants every client it can get is 100% wrong. There are two approaches to obtaining prime clientele and they both should be used simultaneously. The first approach targets good potential clients and the second approach filters out potentially poor clients. Seldom will a company fail if it employs both approaches properly, however, a company is more likely to fail if it incorrectly filters out poor clients than if it incorrectly targets good clients. It may sound counter-intuitive to some, but poor clients can more quickly bankrupt a business than can the lack of good clients. Thus, it is essential to know what attributes make a client an excellent, a normal or a bad client. Saying no to certain potential clients that ‘may be bad clients’ is more important than obtaining a good client. One bad client can cost a company as much profit as ten or more good clients. Most people would rather take the day off than work for free, but so often a business will accept work under terms that it should not and it later regrets it. Businesses must learn to protect themselves before an agreement is made. The five simple steps above can improve a company’s profitability by avoiding deadbeat clients and acquiring better pieces of business. Companies must be careful in how they describe the terms ‘down payment’ or ‘deposit’ as courts will look past the actual word used and look at the intention of the parties. A ‘deposit’ may be held by the courts to be a ‘down payment. This entry was posted in Articles on July 31, 2013 by admin. How do I choose my lawyer? Choosing the right lawyer for you is no simple task. Lawyers and law firms are not identical and every client situation is unique. Below are some common questions and answers that should help in selecting a lawyer for you. Who should I retain as my lawyer? The client-lawyer relationship is unique. You will tell your lawyer things that you have never told anyone else. Your secret is to be kept in the strictest confidence that will even survive your death. Trust is essential to the relationship. Trust requires mutual respect and the ability to communicate without feeling uncomfortable. You should retain a lawyer that you trust, whom makes you feel comfortable, and you have confidence in. Lawyers generally describe themselves by the area of law in which they do business. The area of practice can be large, as with general practices and full service firms, or it can be small, as with practices restricted to a specific area. A general practice lawyer will likely offer many services like incorporations and trademarks, whereas a practice restricted to trademarks will only provide trademark services. A little thought will help you determine the type of law involved and thus the type of lawyer. Where do I look for a lawyer? Lawyers may advertise only as allowed by the rules of the law society in their jurisdiction. Certain forms of advertising are prohibited. If you feel a lawyer or law firm has approached you in an inappropriate fashion, you may wish to contact your local law society for assistance. Inappropriate advertising aside, advertising allows a lawyer to indicate the areas of law in which he or she will accept work. Telephone or on-line directories may be of assistance. Friends may also be helpful in directing you to a competent lawyer. Law societies in most jurisdictions often have a referral network as well. How quickly do I need a lawyer? How quickly you need a lawyer has the greatest impact on the selection process. Urgency may not only reduce the quality of your choice and the corresponding results obtained, but rush legal services are often significantly more expensive. The single most important factor in obtaining the lawyer that is best for you is the time available to select him or her. Thus, it would be best to look for your lawyer before the services are absolutely required. Lawyers mostly bill by time or flat fee. Contingency fees may also be used where allowed by a jurisdiction. In addition to fees, clients are also required to pay for sales/services taxes and disbursements as applicable. Disbursements are amounts spent on the client’s behalf that require reimbursement. Disbursements include courier charges, photocopying and court fees, but the list is endless. You hire lawyers for their time, not their photocopiers. How much should I be paying for a lawyer? Lawyer and law firm fees vary greatly. Fees generally relate to the experience and/or the overhead of a firm, but higher fees do not mean better results. It is prudent to shop around to find a fair rate. Many lawyers will allow a short free initial consultation in order to determine if they can help you. Some even provide quotations. What is the difference between a lawyer and a law firm? A law firm is a law business operated by one or more lawyers. A law firm can be any size. When you hire a lawyer, you hire the firm. Unless specified, any lawyer in the firm can be involved with your file. It is very important to know which lawyers in a firm are actually performing the work on your file as the experience and skill of the firm lawyers may vary. Does the size of the law firm matter? The basic answer is no. The size of the firm does not indicate its quality. There are many excellent small, medium and large sized firms. The quality of the legal work is more a function of the lawyer(s) actually assigned to the file than the firm itself. Thus, it may be more important which lawyer(s) is(are) working on your case than which firm. This is especially true of firms where the lawyers are constantly changing. Does the location of the firm matter? The location of your law firm is not as important as it was in the past. Technology has changed the way some law firms do business. Clients now have the luxury of meeting with their lawyers less frequently as a result of technology. Firms who have technological savvy can make it easier for clients who do not want to travel to and from an office, especially where parking is difficult or expensive. Some excellent firms and lawyers are moving their offices from the downtown urban centers to reduce their expenses and their fees. Thus, if a firm has integrated technology into its practice then its location may not matter to it or you. This entry was posted in Articles on July 26, 2013 by admin. Have a question about your case? Click here to connect directly with our lawyer. Visit Traffic Ticket Solutions to learn how you can fight Toronto and Ontario traffic tickets. 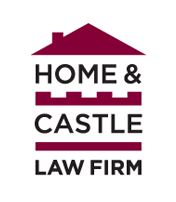 © Copyright Home and Castle Law Firm. All Rights Reserved.